Spicy nose, sherry, but also fruit. In the mouth then delicious sherry, but also a bit of oak, some gum, not very clean, a little dirty, with tobacco and in the end a lot of bitter oak and menthol. A whisky that I like. The color is already great and the initial flavor also. I have not even held my nose to the glass and I can already perceive the wonderful aroma. Sherry and wood are paired there - the way it should be. Reminds me of a Glenfarclas, soft and fruity in the aroma. Very strong start, the sherry comes out even more clearly. Then there are also some herbs added. With time, then something bitter, the sweetness vanishes. A superlative sherried Speysider. Given 96pts in the Whisky Bible by Jim Murray. What I like about this whisky is the slightly off sweet, fresh mouthwatering quality. The sherry flavours come through but aren't cloying or dominating, creating a very elegant whisky. No sherry bomb in the sense of a Glendronachs, for example, despite 18 years in First Fill sherry casks. 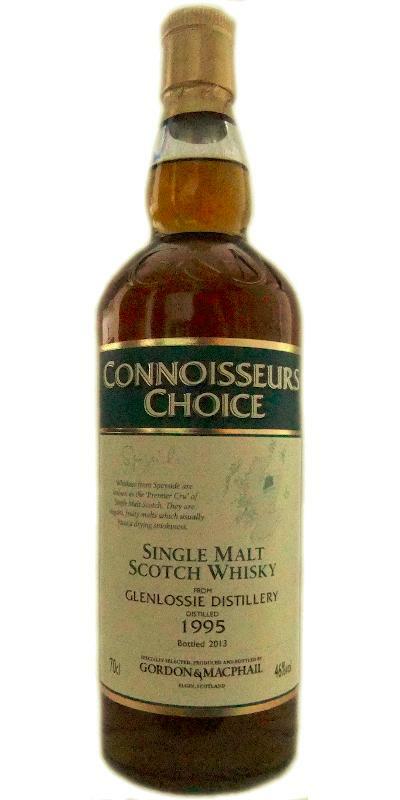 Here you have rather a very mature, balanced malt but still some rough edges has to offer. Great whisky. Creamy sherry, bananas and some pears. Makes a sweet impression, with dried fruit and some milk chocolate. Later, a slight hint of ripe, fragrant apples. Mild and very pleasant in the taste, medium-bodied and slightly tingling in the beginning. Then sweet dried fruits, bananas, mild Sherry oak and a very light, earthy spice. Gentle but oaky spicy, the milk chocolate mentioned above is slowly turning into dark chocolate. Medium long and very pleasant with dried fruits.